Within the packet of pictures my dad sent to his father in 1946 from Cologne, Germany are about 20 that appear to have been purchased. 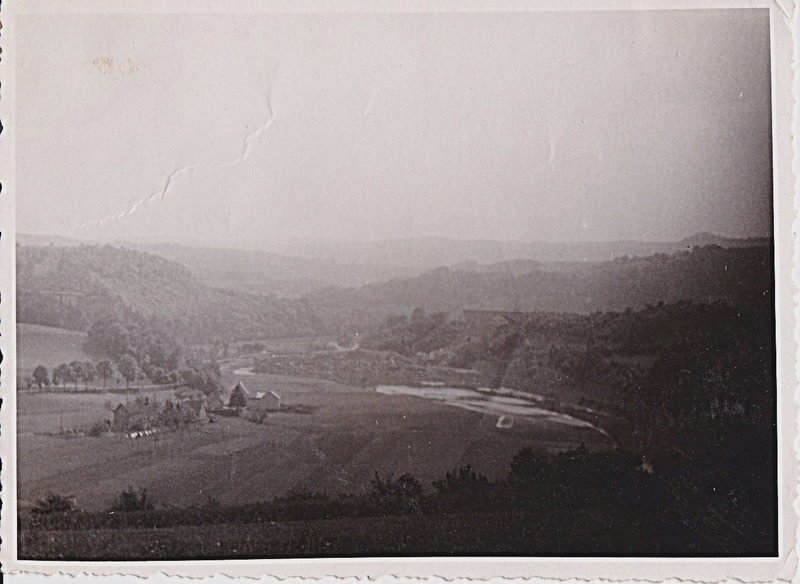 The 20 pictures show scenes of what appear to be prewar Cologne. The packet contained about 40 other pictures that appear to have been taken by my dad with the exception of the two 6 3/4″ by 4 1/2″ large prints I profiled in part 3. Most of the pictures measure 3 1/2″ by 2 1/2″. Five pictures measure 2″ by 3″and may have been given to my dad by a friend. Three pictures are 4″ by 2 1/2″ and appear to have come from yet another friend’s camera. There is no way to tell for sure of course. The one sure thing appears to be a great deal of variety in the size of photos. The series of 8 pictures below measure 4 1/4″ by 3″. There is an imprint (watermark?) on the back of 7 of the 8 that reads agfar Brovira. An INET search turned up a blogger who determined the marking was that of the photo paper’s manufacturer and that agfar Brovira represents the wartime type paper used for prints. Apparently, the paper is quite rare and collectible in its original condition. Most of the pictures have scribbling that seem to indicate the 7th Army. 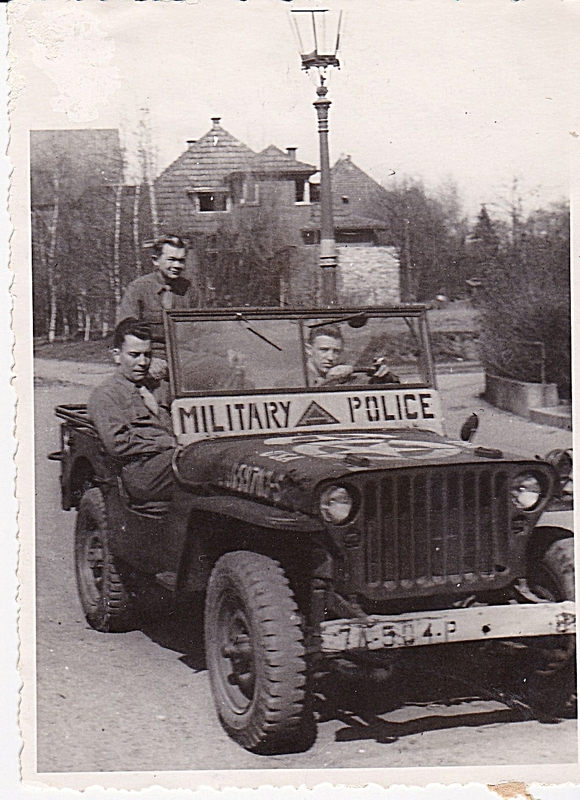 None of the other pictures have this marking presumably because my dad’s battalion was transferred to the 5th Army. 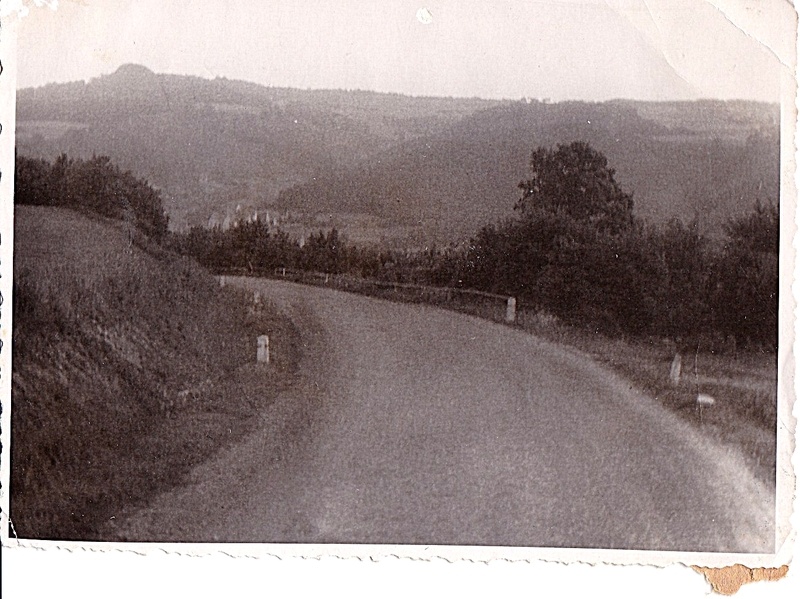 I’m further speculating that perhaps the series was taken on the way to the transfer since Cologne appears to be the destination and dad was with the 5th Army then. 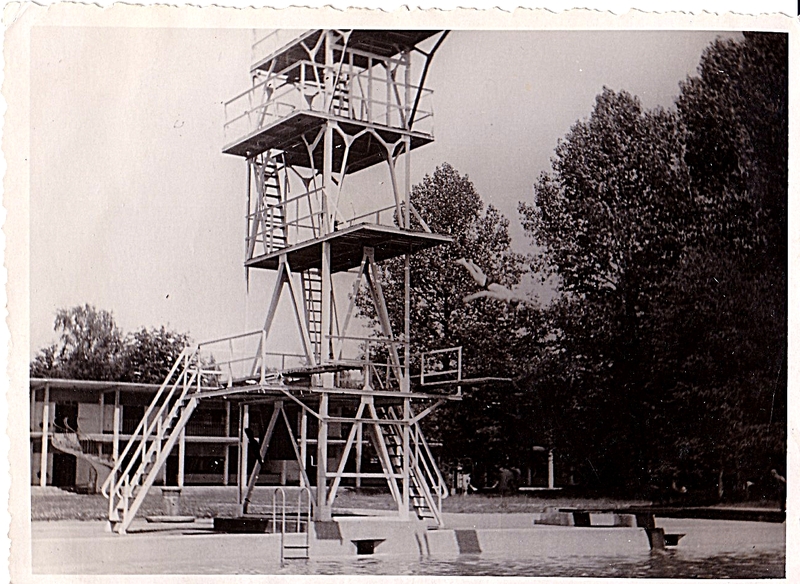 Appears to be a diving tower at some type of resort. I don’t recall dad telling me anything about a resort. 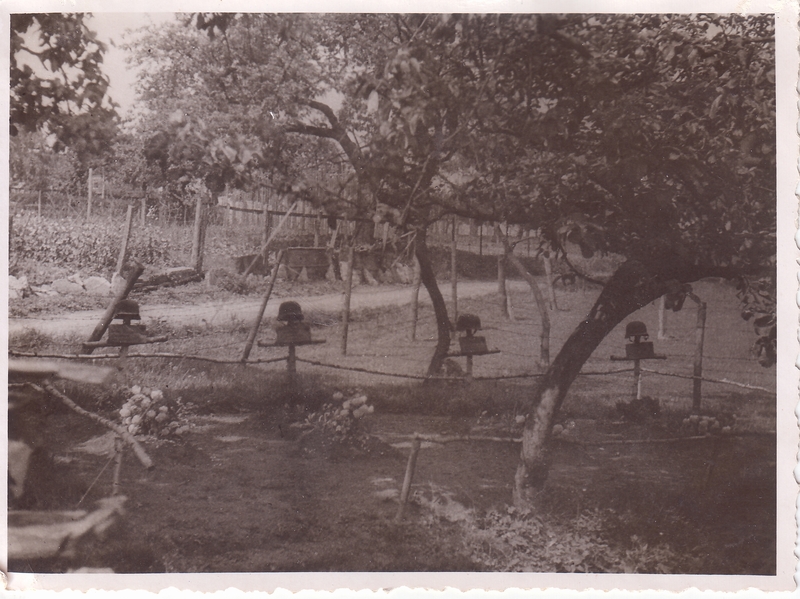 Undisturbed German soldier cemetery. Helmets on crosses. 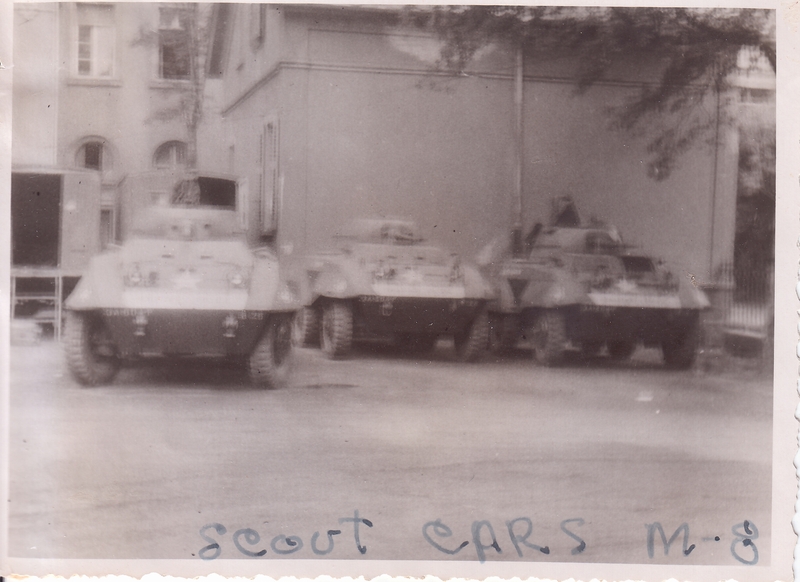 M-8 “Greyhound” Armored Cars. 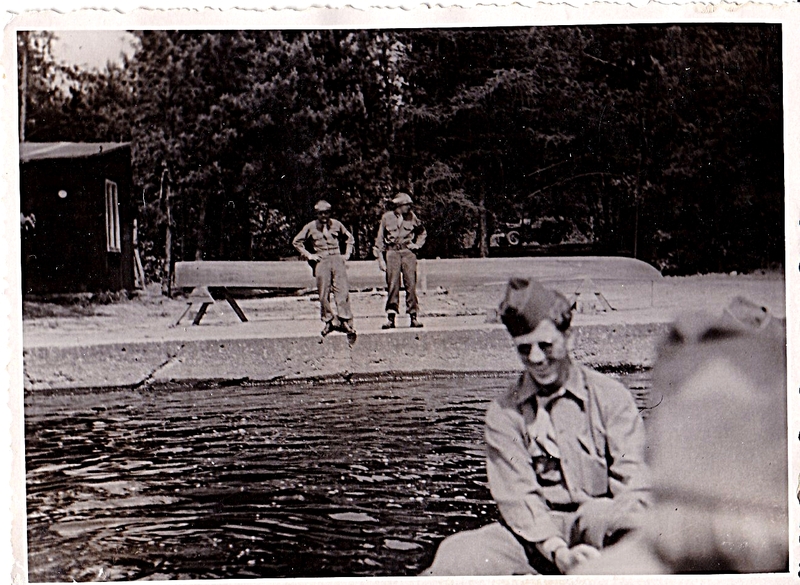 Dad told me the 504th MP BN had a few of them and I found this picture in the batch he had sent home. Another pic of the resort. The two MPs in the background appear to be on duty while the soldier in front is not. Not sure if the water is a pool or river. Appears narrow. I think dad was taken in by the beauty. There is a farm in the lower left quadrant. Might have reminded dad of Wisconsin. This one is clearly labeled 7th Army. Markings on the jeep verify that. My dad wrote on the back, Meade, Meadows and me. Dad is in the back seat. I speculate that Meade is the driver. I’m thinking it’s an off duty picture given the lack of helmets and patrol gear. 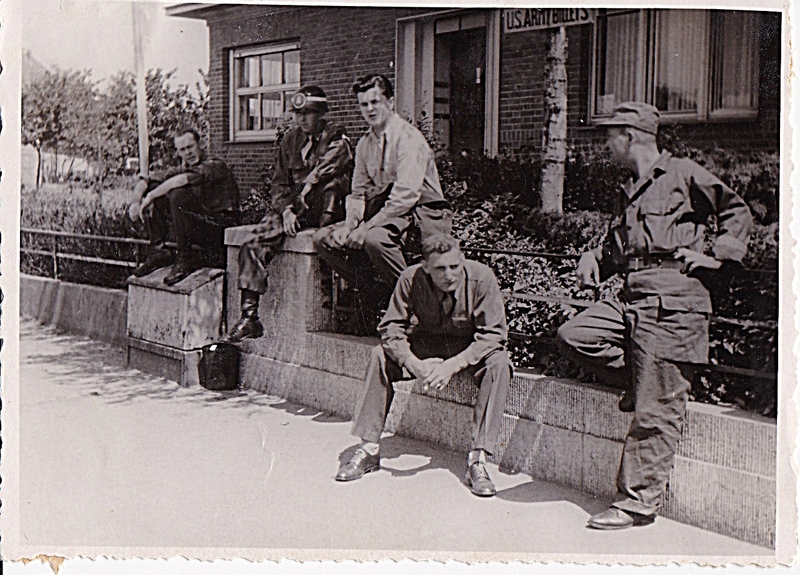 Five of dad’s comrades outside of their US Army Billet. Dad said they patrolled three men to a jeep so I speculate that these five plus dad are two crews just off duty? Great photos, you’re very lucky to have them. Thank you for letting us share.